A donation of any amount can make a difference. 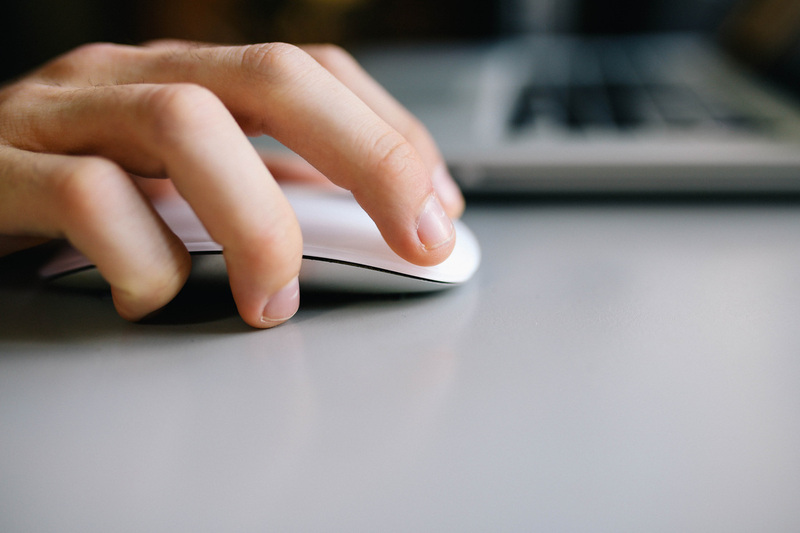 Click here to read details about 2018-2019 teacher grants. 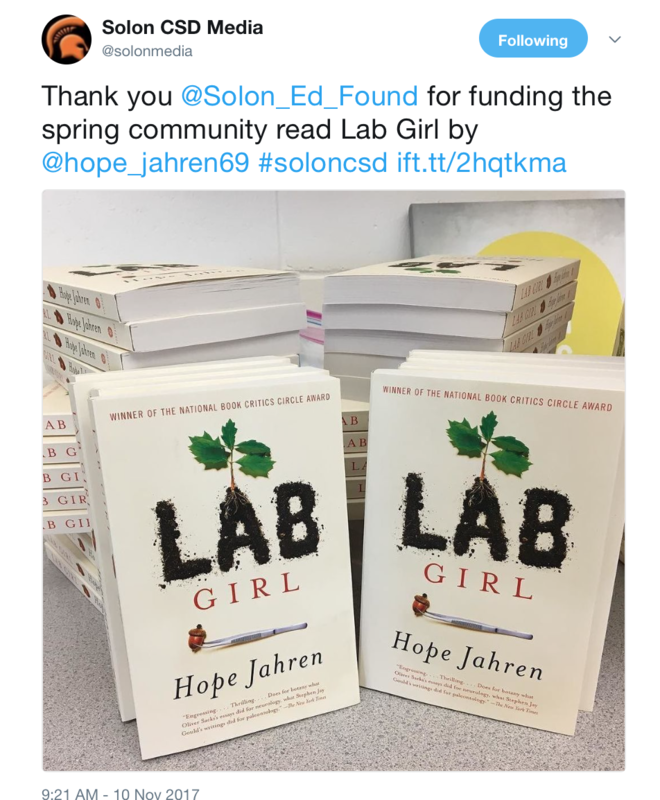 For the great job she did communicating the importance of her SEF grant via social media, Jenny Noonan, 7th and 8th grade Language Arts instructor has been awarded a $150 Amazon gift card to supplement the purchase of books for her classroom project. Congratulations Jenny! 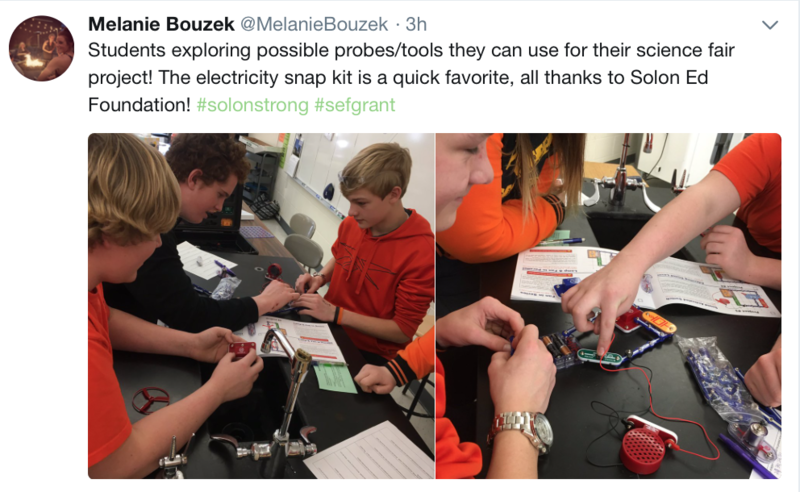 January 2019th SCSD District update features the Solon Education Foundation! 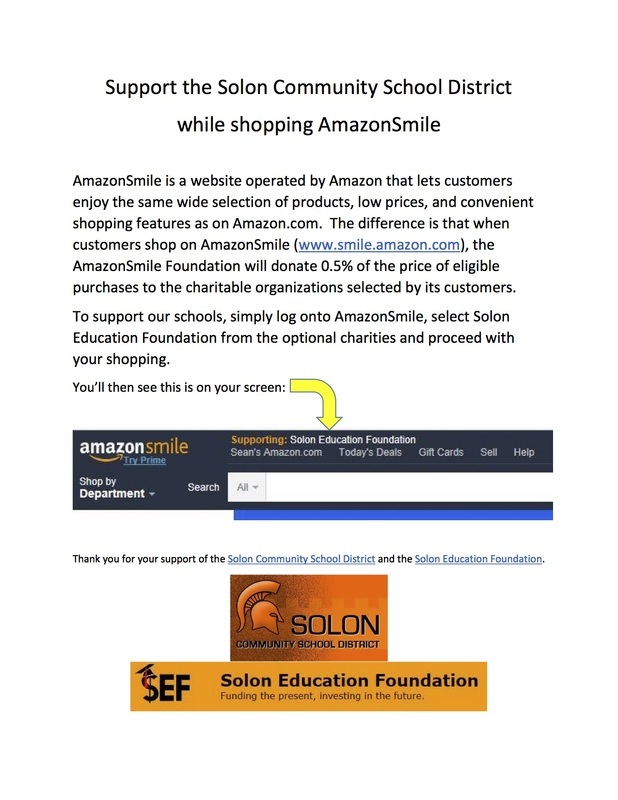 To date, AmazonSmile has donated a total of: $1,125.46 to the Solon Education Foundation. 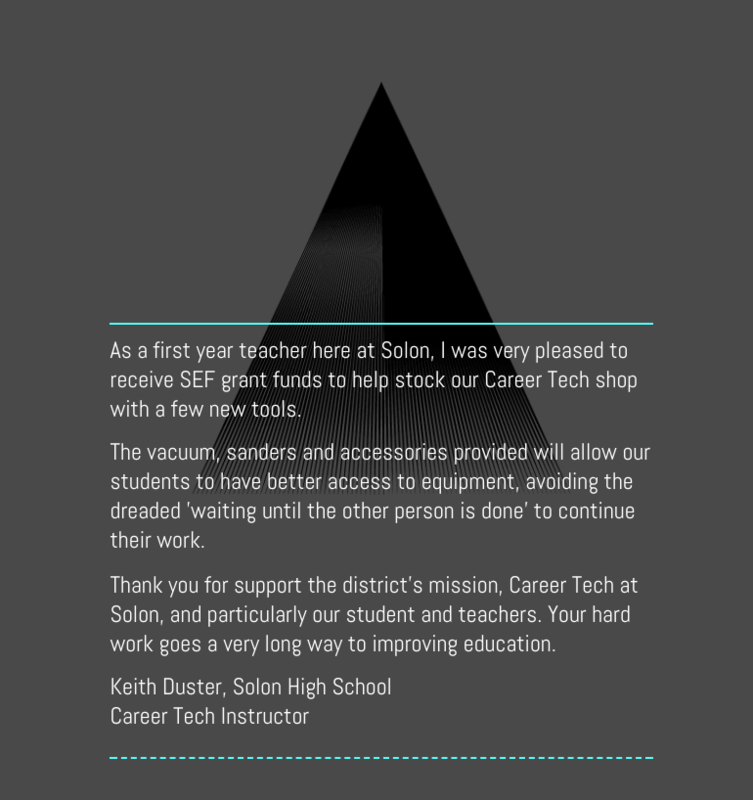 The Career Tech department at Solon was awarded a SEF grant for the 2018-2019 school year. 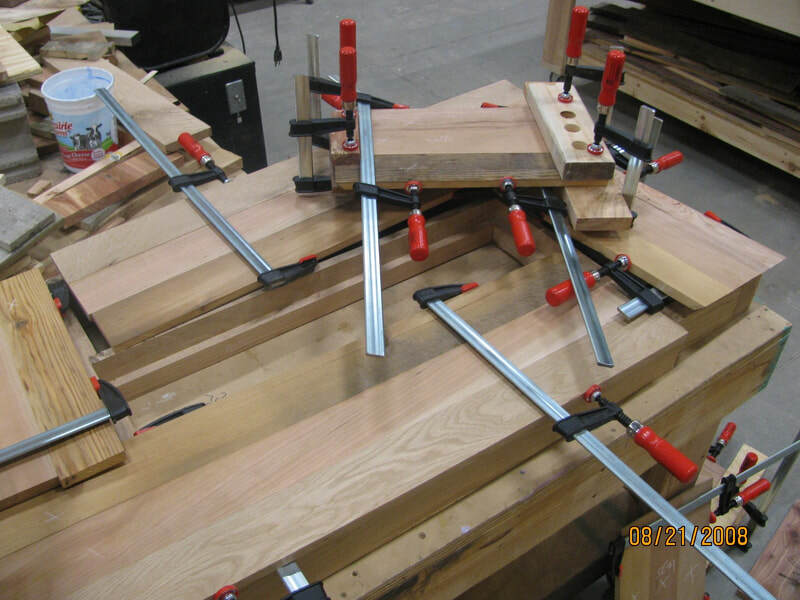 We utilized those funds to purchase a set of Bar Clamps to assist the students with completing their skills assessments and class projects. 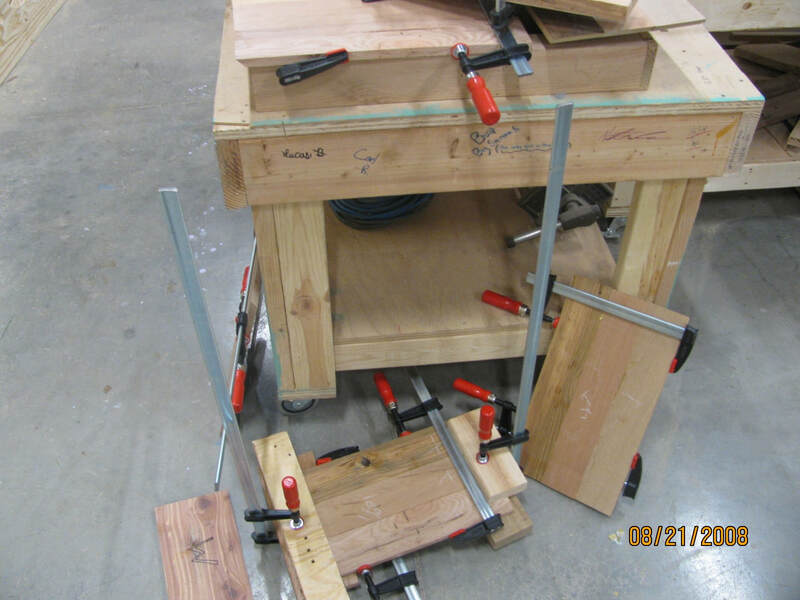 The improvements to quality of work and student learning has been wonderful. 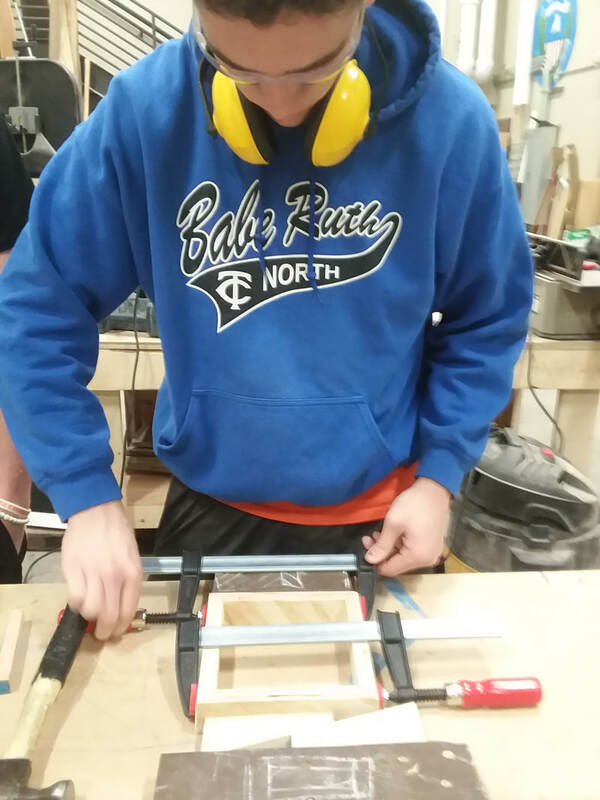 One of the Critical Competencies of our department involves exposing students to tools and processes that they would encounter in career environments. 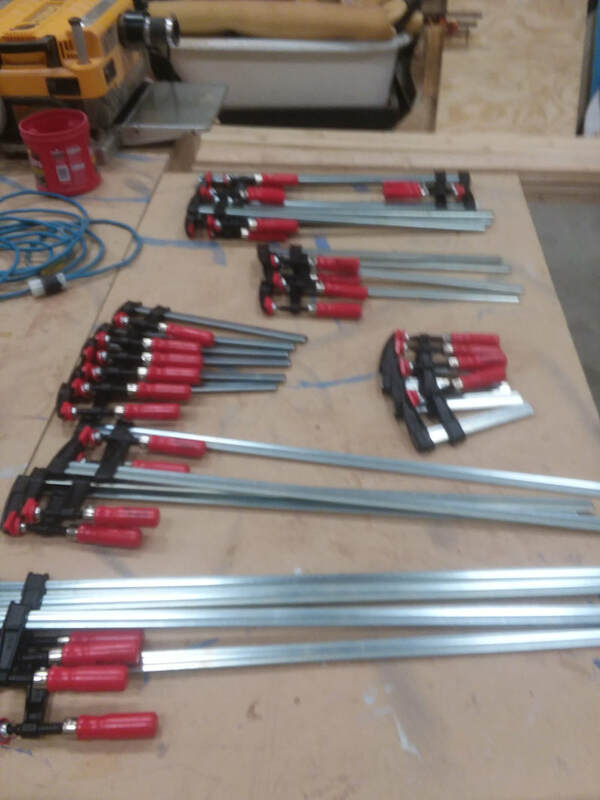 Any student with an interest in woodworking, carpentry, homebuilding, facility maintenance, or other building trades will benefit from having access to the increasing variety of tools and accessories in our shop. 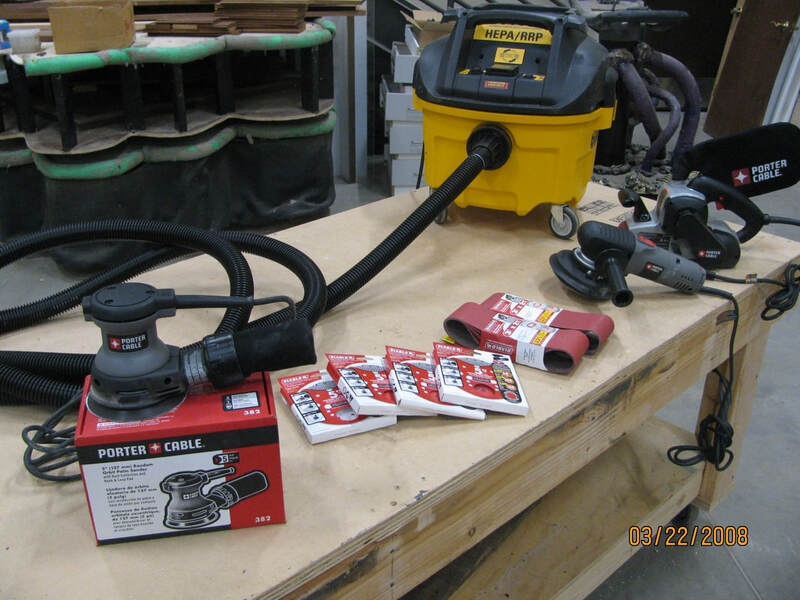 Thank you to your Foundation and all of its donors and sponsors for making these purchases possible for our departments. 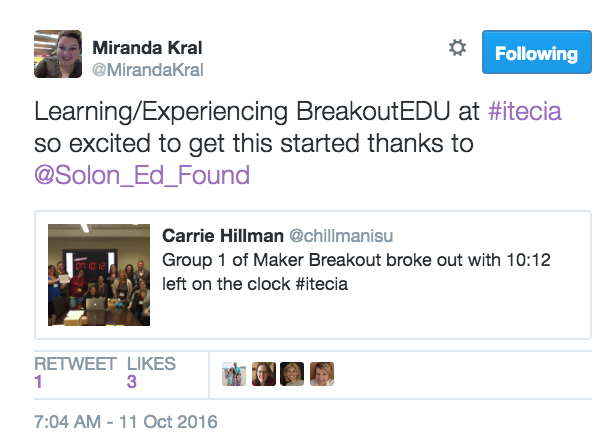 You are making a difference in our classrooms. The SEF board was pleased to host SCSD Superintendent Davis Eidahl at its November meeting. 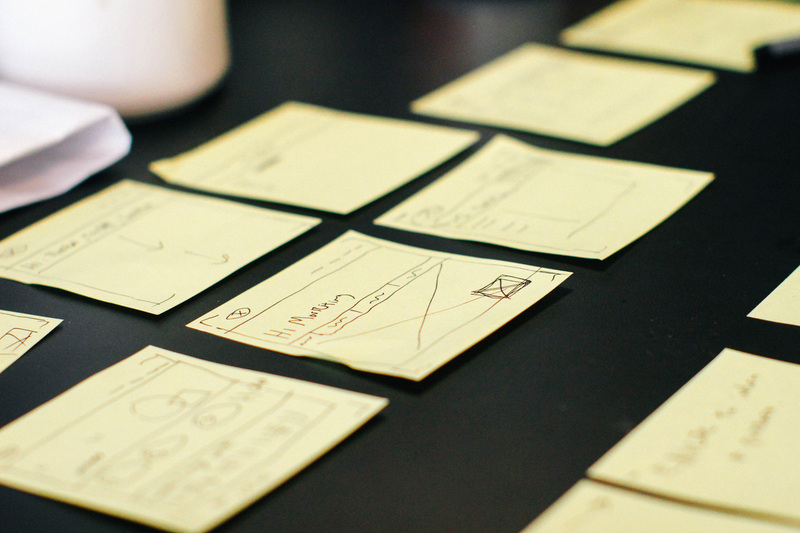 Understanding the district's priorities will help SEF support students and staff. 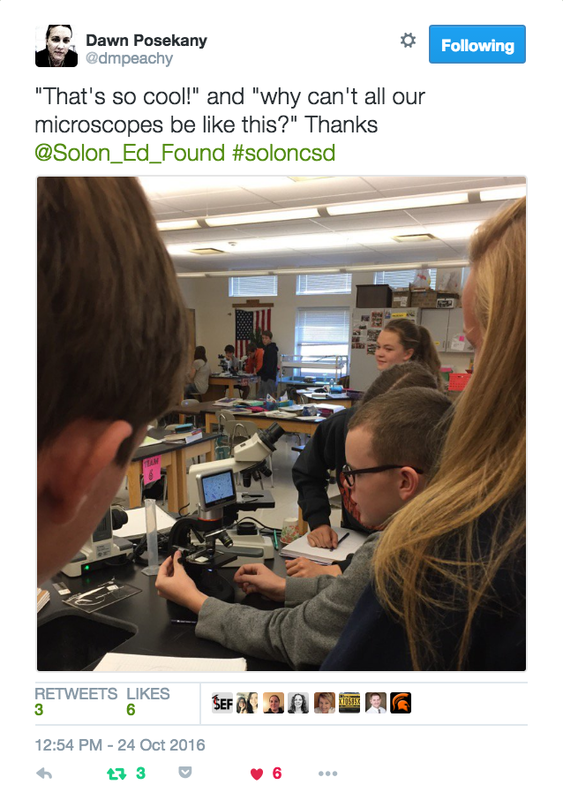 Do you care about the Solon Community School District and want to make a difference? 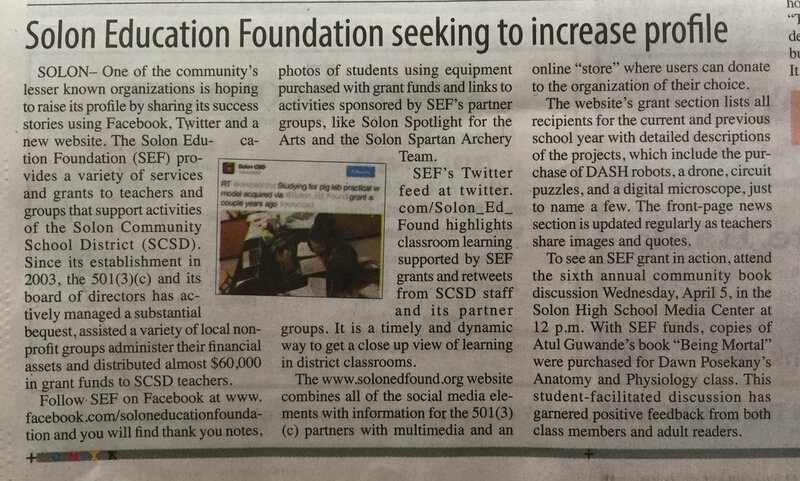 The board is currently recruiting supporters of the Solon Community School District to join the Solon Education Foundation Board as voting members. 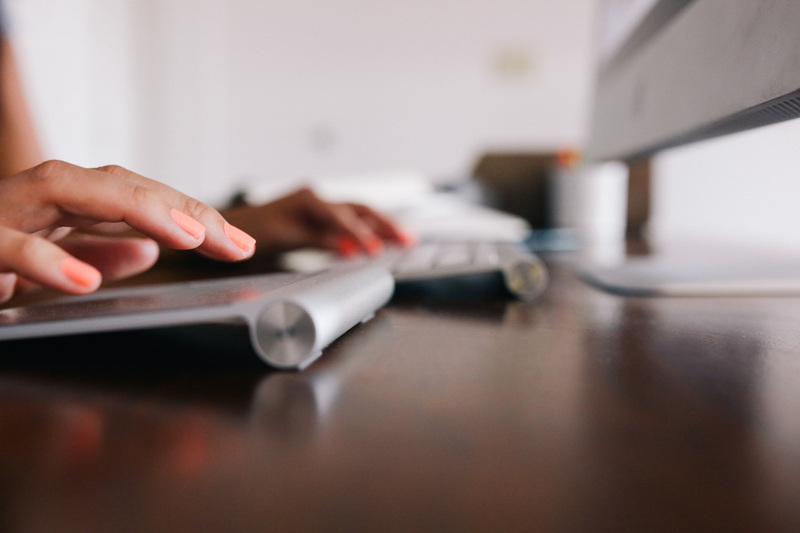 The board meets 8-10 times per year to direct assets, administer the annual grant cycle and assist the SEF 501(c)(3) partners with their fund management. 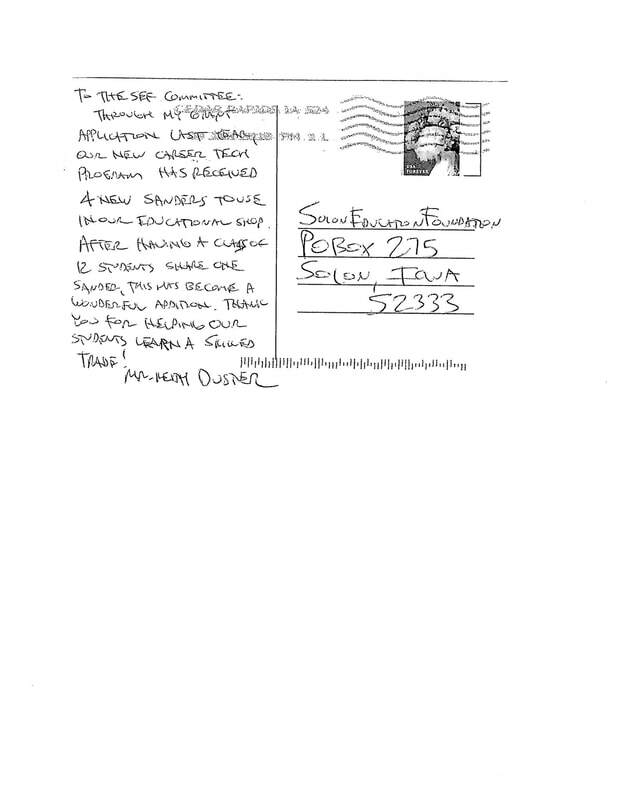 Your minimal commitment will make a big difference to SCSD teachers and students. ​The SEF board congratulates Dr Townsley on his appointment to the team at the University of Northern Iowa's department of Educational Leadership & Postsecondary Education. Dr Townsley has worked closely with SEF to facilitate the annual teacher grant program and has been a genuine supporter of our mission. We wish him the best and are confident that generations of future teachers and administrators will benefit from his experience at SCSD. Greetings from the executive board at the November meeting. 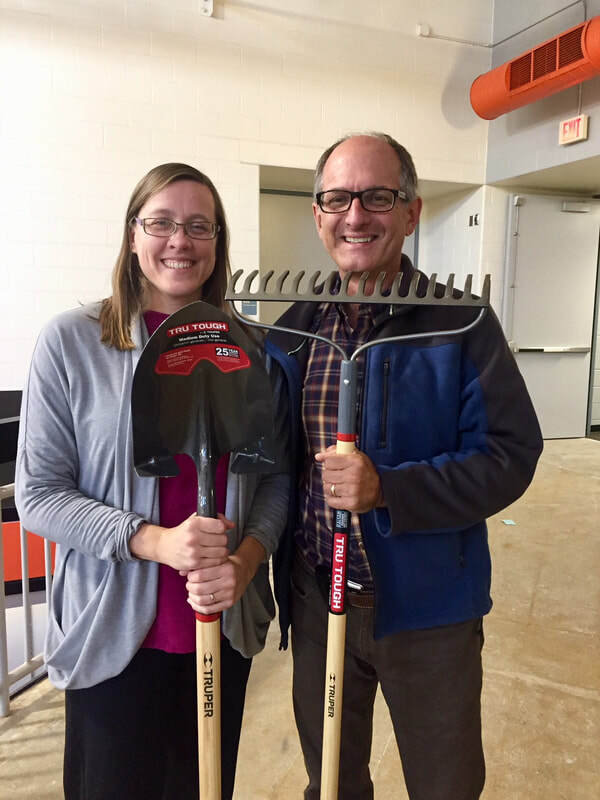 SEF board member Tom Gross presents gardening tools to Ms. Posekany’s High school botany class. 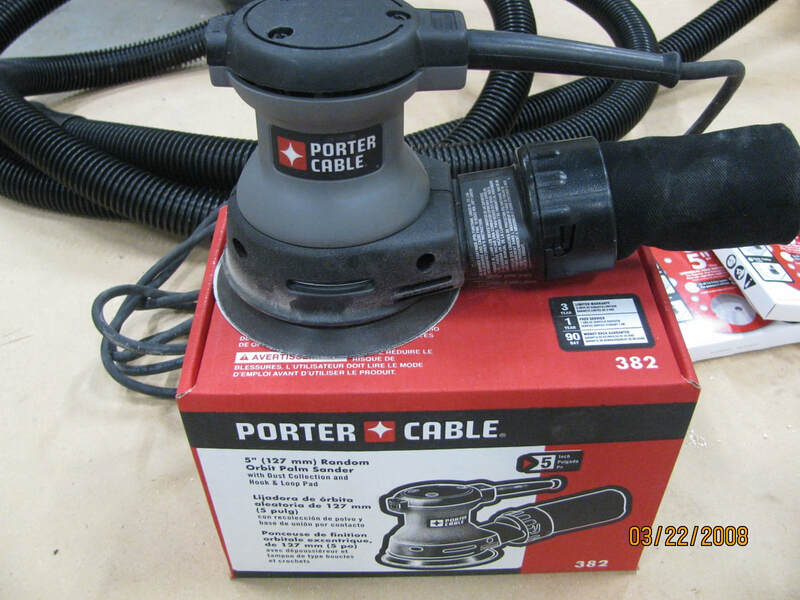 Shout out to Lowe’s for the school and community discount. Donate $25 or more towards the $5,000 community goal. Students in grades K-6 are currently using eight-year old reading materials. 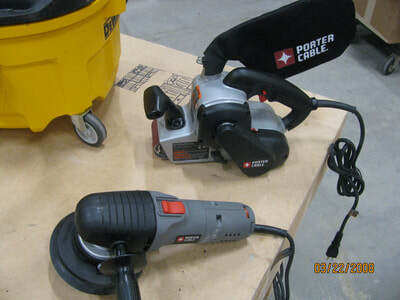 During the next three years, we will be purchasing Fountas and Pinnell Literacy Classroom material (http://www.fountasandpinnell.com/fpc/). This material will include 200 titles per classroom to be used in a "guided reading" model. Fountas and Pinnell will provide 200 titles per classroom that are within the grade level span. 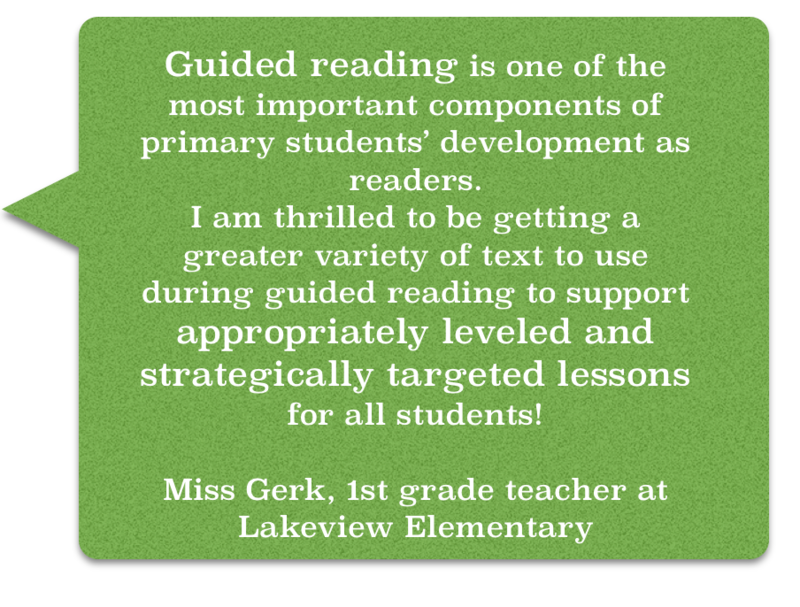 As a district, we want to provide teachers with resources below and above grade level reading spans in order to enable teachers access to text meeting the diverse needs of all readers. 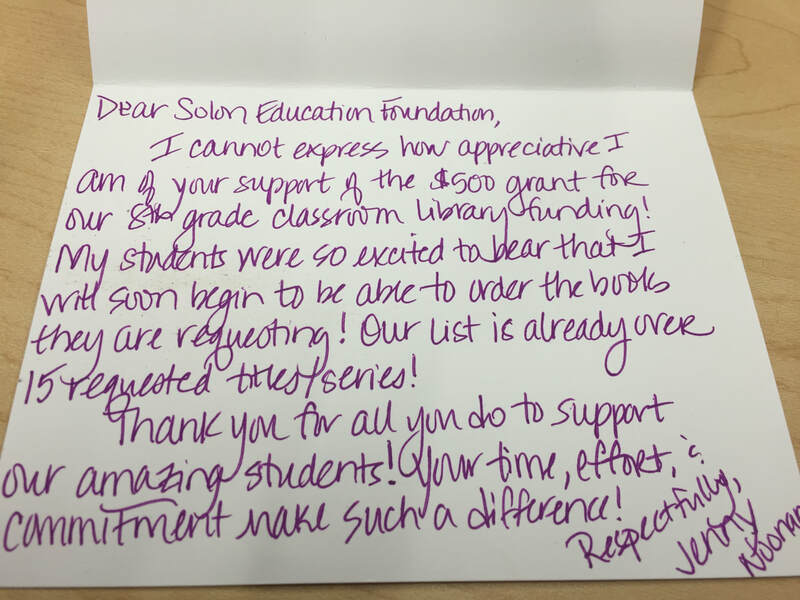 The district is committing $5,000 towards books and we are asking the community to consider matching $5,000 through the Solon Education Foundation. 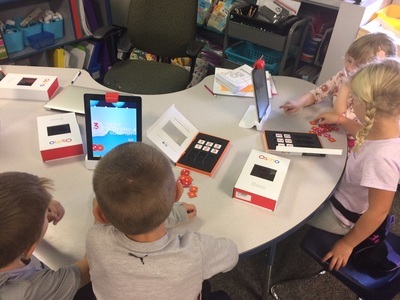 Superintendent Davis Eidahl is excited about this project, "I am thrilled to provide teachers with access to books that will enable ALL students the opportunity to read books they enjoy and are at their current reading level." 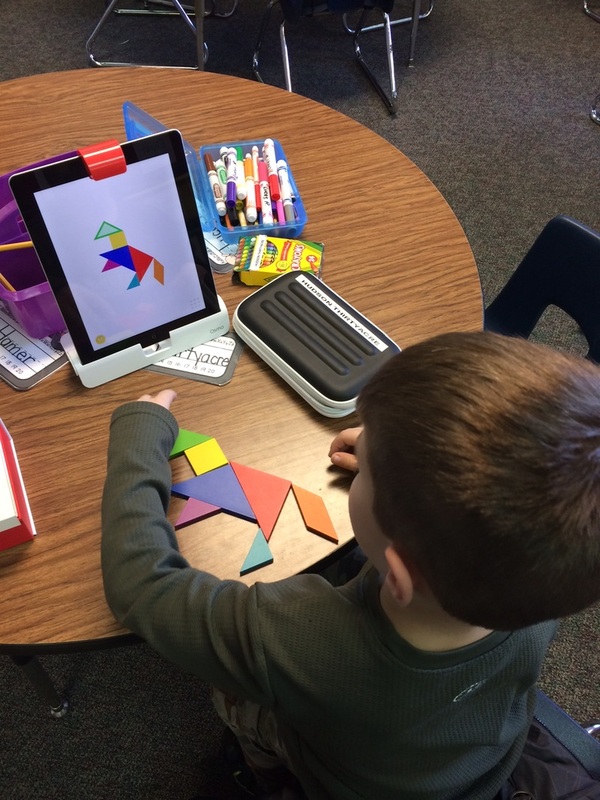 "My kindergarteners have been LOVING the Osmo’s. 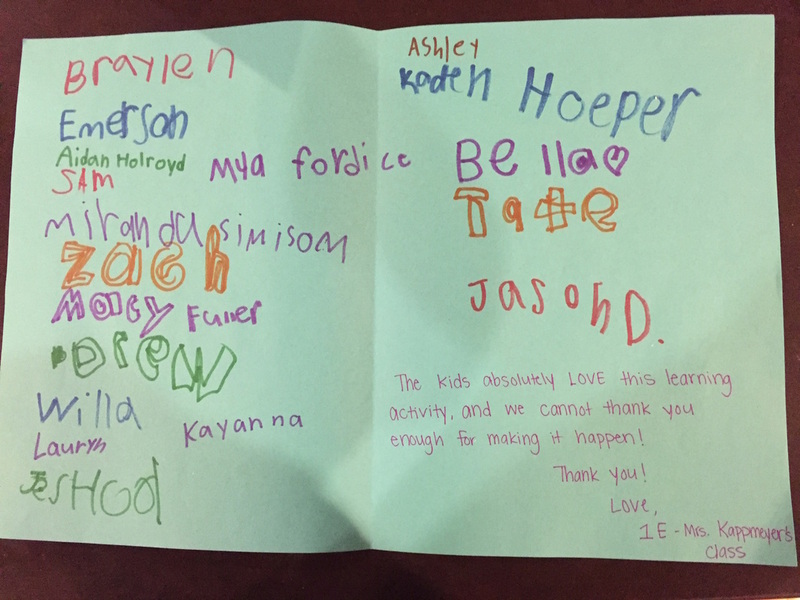 I knew that they would be engaging, but I never dreamed that they would go home and talk about them all night to their parents. I have 2 parents who are buying Oslo’s for their kids for Christmas because they talk about it so much at home. Thank you for this opportunity. I (and KE friends!) really appreciate it!" 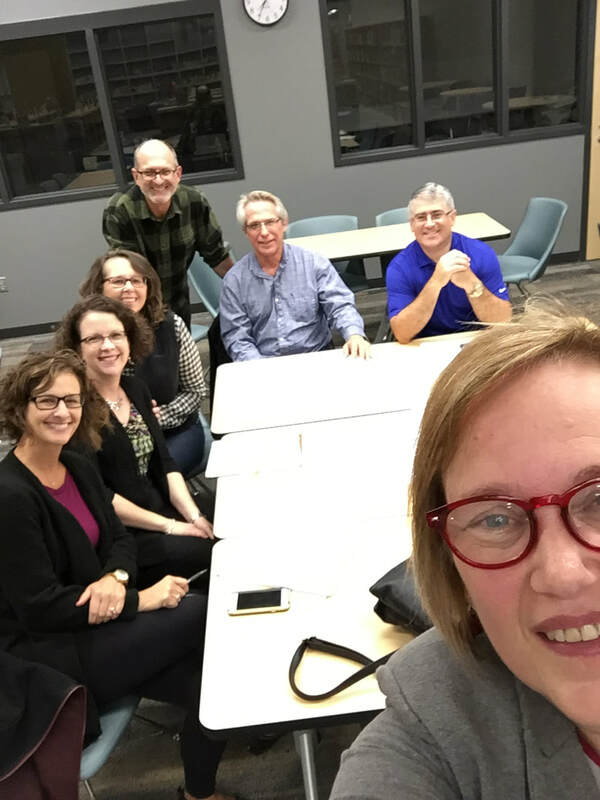 The SEF board's October meeting was held in the new Solon Middle School's Media Center. 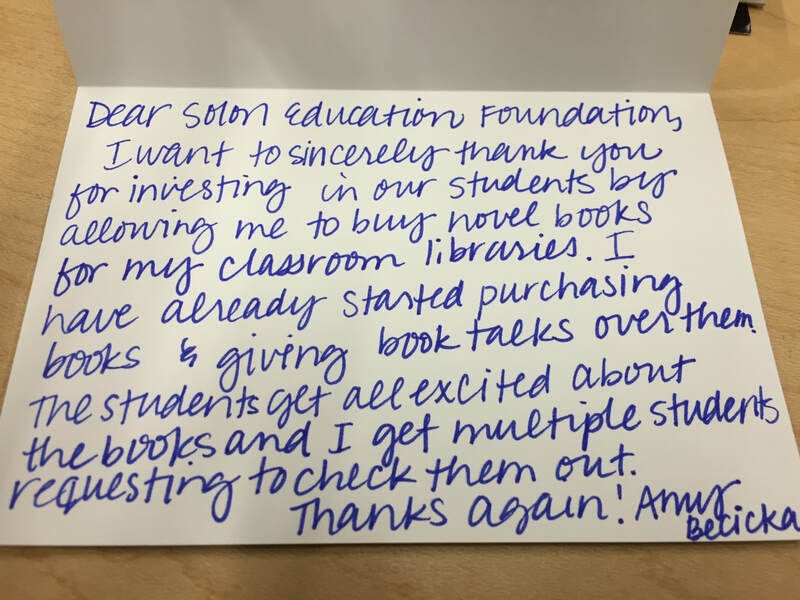 ​Thank you again for the funding to allow my program to be able to purchase Read Naturally. My students have enjoyed the stories they get to choose from and learn. Within the program the students try to increase their rate of reading and improve their comprehension. 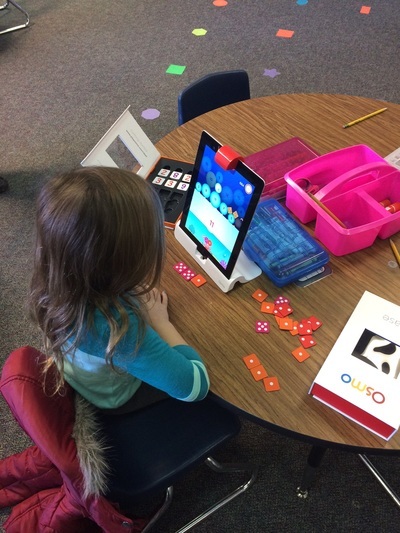 I am using the program with 6 students and each of them have increases their fluency in reading. 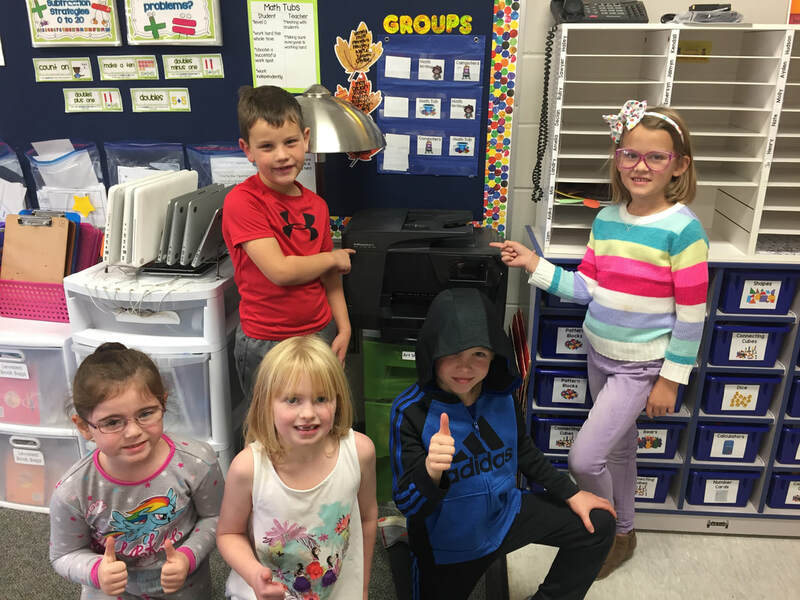 "Thank you SO much for the SEF grant from first grade for the color printer! Attached is a photo of some students around the printer, surrounded by a plethora of color printed items we use and see every day. 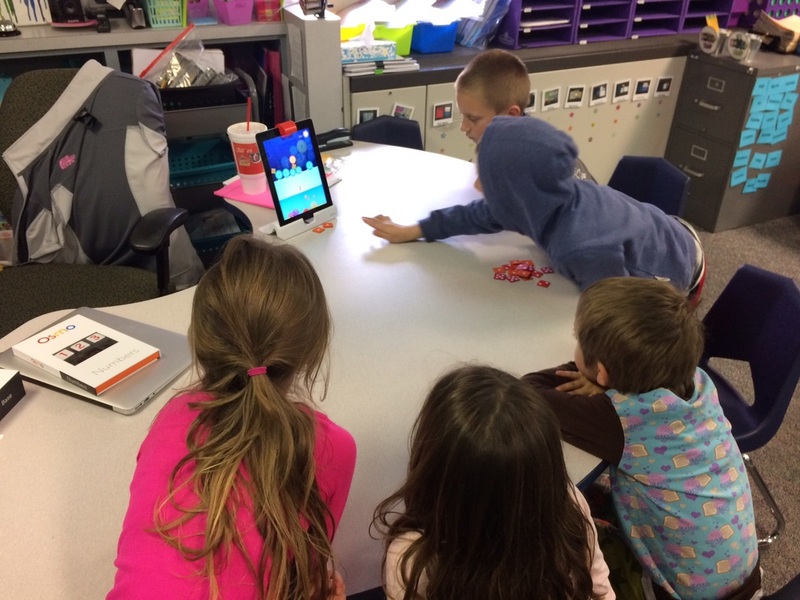 The first grade team and students are so grateful for this grant!​"
We've raised $1,425 toward our goal! 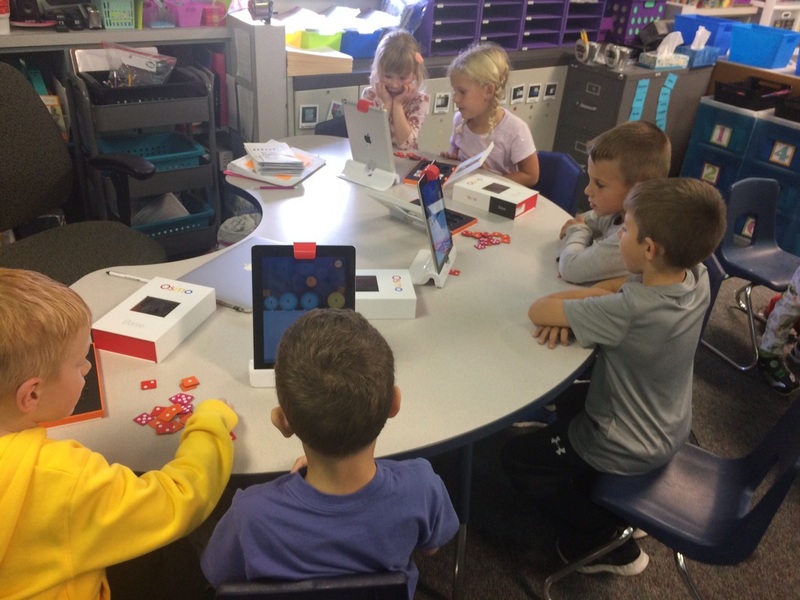 First grade teacher Beth Kappmeyer received an SEF grant this school year to provide leveled readers that her students could easily take home in a bag with a handle. She shared these photos along with a note saying the kids and parents love them!